LinkedIn on Thursday announced that it is adding support for voice messaging to its platform. The feature will enable users to send spoken messages to each other, much like what’s offered by many chat apps and messaging services. According to LinkedIn, the feature will make it easier for people to send messages while on the go, while recipients will be able to “listen and respond when they have a free moment”. To use the feature, LinkedIn members have to simply tap the microphone icon in the messaging keyboard, then tap and hold on the mic icon in the circle to record their voice message, as shown in the GIF below. Releasing the finger will send the message to the intended recipient. To cancel the message, users will have to slide their finger away from the mic icon while holding it down. The messages can be up to one minute long, and will help users speak in their own voices and “build a more personal connection and effectively communicate”, says the company. 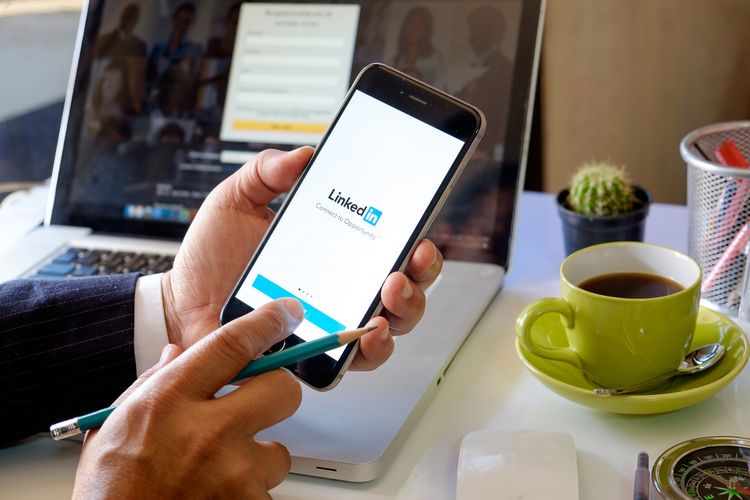 The feature is now rolling out to LinkedIn’s iOS and Android app users, and according to the company, will be available globally to all members in the next few weeks. While voice messages can’t be send from the LinkedIn website just yet, users can still listen to them when logged in to the web client. Meanwhile, some social media users and LinkedIn members are already expressing doubts as to whether the feature will serve its intended purpose or provide marketers with yet another medium on which to bombard users with spam messages. With the new feature being greeted more by skepticism than enthusiasm, it will be interesting to see how the Microsoft-owned company will stop it from being abused by unethical marketers going forward. That’s just horrible. Why did they do something so silly, it’s a terrible invasion of privacy?